Easing Stress from Mind & Body! The benefits of bergamot include easing stress due to it's calming and centering scent. It has traditionally been used for oily and troubled skin. Bergamot essential oil is what gives Earl Grey Tea its fantastic and unique flavor! Did you know that in Napoleonic times, it was trendy to use Bergamot as a Cologne and Perfume? Yes, and today it is still dominantly used by the perfume industry in its "deterpenized" form. By the way, when companies "deterpenize" this oil they can take out the furanocoumarins which is what makes the oil photosensitive and creates skin irritation. But depending on the process the company uses, it may also disrupt the quality of the oil, especially when chemicals are used. Young Living's Bergamot Oil is Furanocoumarin Free (FCF) which is a good thing; however I still have had some reports of skin sensitivity so please do use your best judgement! Two of my favorite blends made with bergamot are Joy and Gentle Baby. Gentle Baby is great for supporting pregnant moms emotionally. Want to Purchase Therapeutic Grade Bergamot Oil? Go to the Oil Shop! Buy Bergamot Oil here! Why is this Information Important? It is always a good idea to know your genus species of your essential oil, so you know what you are getting! Too many companies label essential oils generically which means none of us know what they are putting in the oils they sell to us! Did you know that Columbus brought bergamot from the Canary Islands to Italy? What is the Origin of the Plant Name? It is thought that Columbus brought the tree back to Bergamo an Italian city in Northern Italy. What are the Plant Properties? Supportive of healthy skin. May diminish oily skin and blemishes. What are the Documented Uses and Benefits of Bergamot? Support healthy skin. What is the Aromatic Affect on the Mind? Its sweet and fruity aroma is uplifting and relaxing. What is the Spiritual and Emotional Influence? The benefits of bergamot include the spiritual and emotional as well. Bergamot releases the need to be in complete control so that we can flow with life more easily. This is why Bergamot is helpful when dealing with dependency or compulsiveness that may be associated with smoking, drugs or alcohol. Because this oil opens the heart chakra and is uplifting to the mind, which eases stress and tension in mind, body and soul. 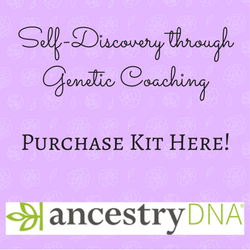 Place on the heart to release this patterning and embrace relationships (self and others). What is the Corresponding Chakra Color? Orange and green. Interested in Dietary Bergamot Oil for Your Culinary Adventures? Then check out Bergamot Vitality Essential Oil! Because it is approved as a Food Additive (FA) by the FDA, food grade bergamot oil is readily available on the market. Please remember, these are not the same oils and are often adulterated (changed). One of the benefits of bergamot oil is that it is generally regarded as safe (GRAS). However, it is recommended to not use this oil on children less than 5 years of age. This oil can possibly result in skin irritation (dilution is recommended). Repeated use can result in extreme contact sensitization. Avoid direct sunlight or ultraviolet light for up to 72 hours after use. Young Living's Bergamot Oil is Furanocoumarin Free (FCF) which is minimizes the skin sensitivity and phototoxicity; however I still have had some reports of skin sensitivity so please do use your best judgement! This is an EarthKosher Certified Oil! Did you know that bergamot is a mainstay in Italian Medicine? Did you know approximately half of women’s perfumes and one third of all men's contain bergamot oils? 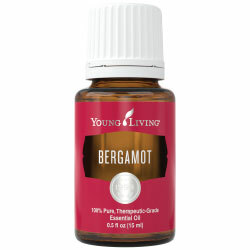 Wear bergamot oil on your wrists to use as a perfume and keep your heart open!